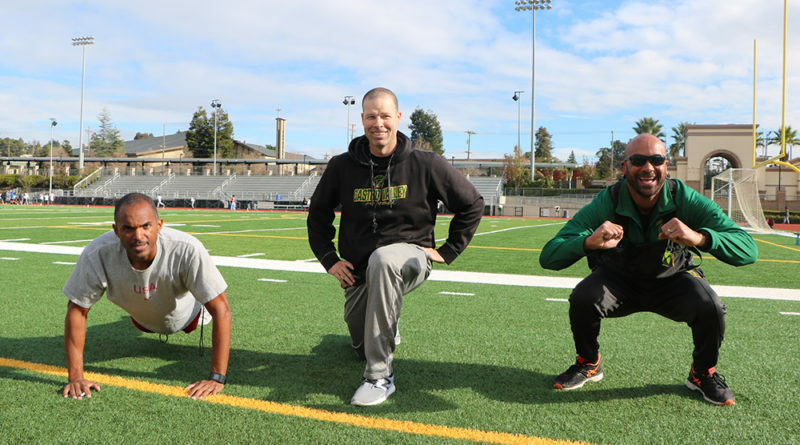 Starting in September, PE teachers Mark Williams and John Edwards put together a fitness challenge for the staff and students of CVHS to participate in to help encourage fitness and wellness. This fitness challenge carries the F.I.T. slogan meaning Fitness, Integrity, and Togetherness and the Trojan STAND that many students are learning during the new Trojan Time. Each month there is a specific exercise that must done in increasing reps each week. Each student in a class can participate and every exercise that each kid does counts. Each staff member who signs up for the challenge works to stay consistent with it. At the end of the month, the staff member puts either “Yes” or “No” on a shared spreadsheet if he or she completed the 30 days. Those who complete the 30 days are then entered into a raffle to then win an “exclusive one-of-a-kind” Trojan F.I.T. T-shirt. Edwards and Williams are very impressed with the cooperation and turn out of the Trojan F.I.T. Challenge in the past month. One of the winners of last month’s squat challenge was Emi Crow, a Japanese teacher. “I was totally surprised. It was really nice to feel rewarded for working hard,” said Crow. Crow decided to join this challenge because she wanted to find a way to stay active that works well with her busy lifestyle. She really enjoys doing sports such as tennis but she hasn’t been able to do much playing because she’s so busy. Trojan F.I.T. started with a conversation between Edwards and Denny Molzen, another PE teacher, about a program that Molzen did at another school. “We started joking around saying ‘Oh Trojan F.I.T., Fitness, Integrity, Togetherness’ and then realized that it wasn’t a bad idea,” explained Edwards. Molzen and Williams also wanted a way to increase the performance for the Fitnessgram. They wanted everyone to work together as a group to get better so no single kid or group of kids were singled out. “With fitness and things that are hard, it’s better to do it all together as a group. Everyone is included. Everyone is doing it together, at the same time. When everyone is suffering together, it makes it more bearable and easier to accomplish knowing you’re not alone,” said Edwards. 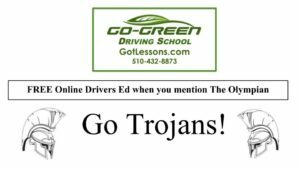 Another influencer for the Trojan F.I.T. was Jared Cavaness, a popular Spanish teacher at CVHS, who had done a 300-a-day pushup challenge last year. It all started when Cavaness went to work out with David Roth-Rossi and Cavaness couldn’t do one pull-up. He started doing one pull up in the morning and one at night for a month until soon, he was able to do four, then it got to 10, 12, until he could do 30. He started to get his kids doing and his students. Last year, he encouraged Edwards and Williams to participate in this challenge as well. Cavaness realized that it was important to spread the push ups throughout the day and that since other teachers were doing it as well. “It got to be the point where it was fun. We really enjoyed it. And this wasn’t to show off. It really did change my life. It sounds stupid to say that push ups would change your life but it gave me more energy for my kids and students and I learned self-discipline. I never want to stop doing it,” explained Cavaness. For the coming months, Williams and Edwards hope to continue having good staff participation as well as better results in students performances in their fitness testing. The Trojan F.I.T. is not only to help with your physical wellness but also an attempt to bring a community of fitness and wellness where everyone is include, no one is left out, and there’s universal thriving.